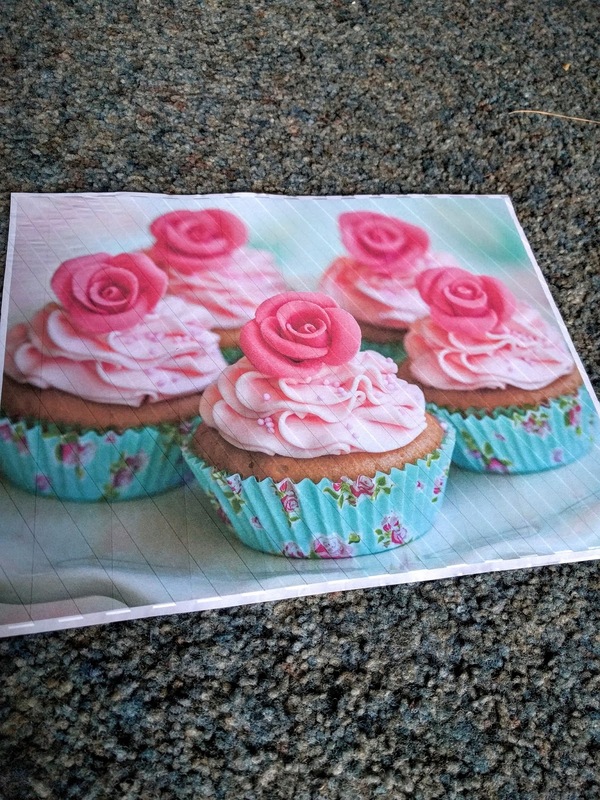 I've recently been getting into baking. 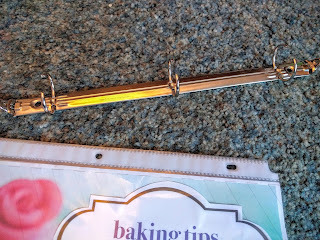 I'm having a great time but there is so much about baking I don't know. 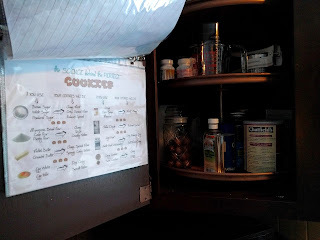 I looked up several pages of baking tips and shortcuts and needed to create a space for them to live in the kitchen. Here's what I came up with and here's what you'll need. 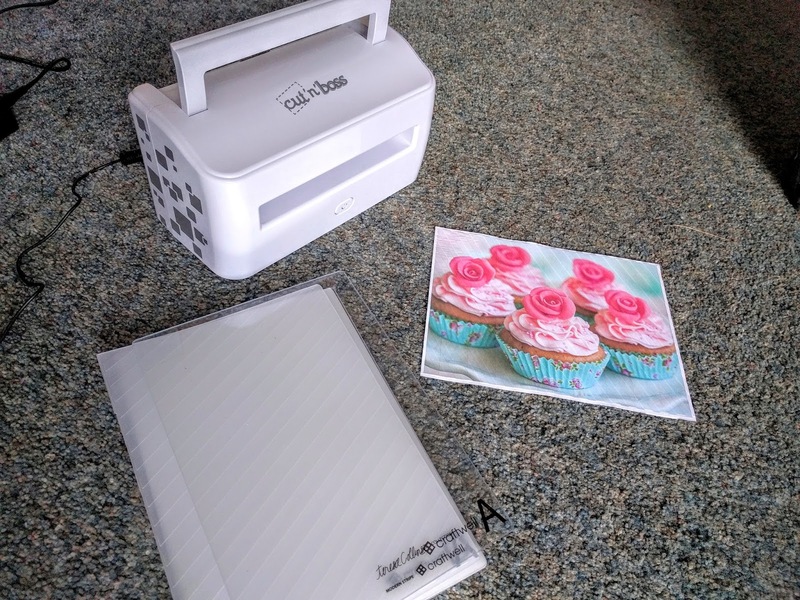 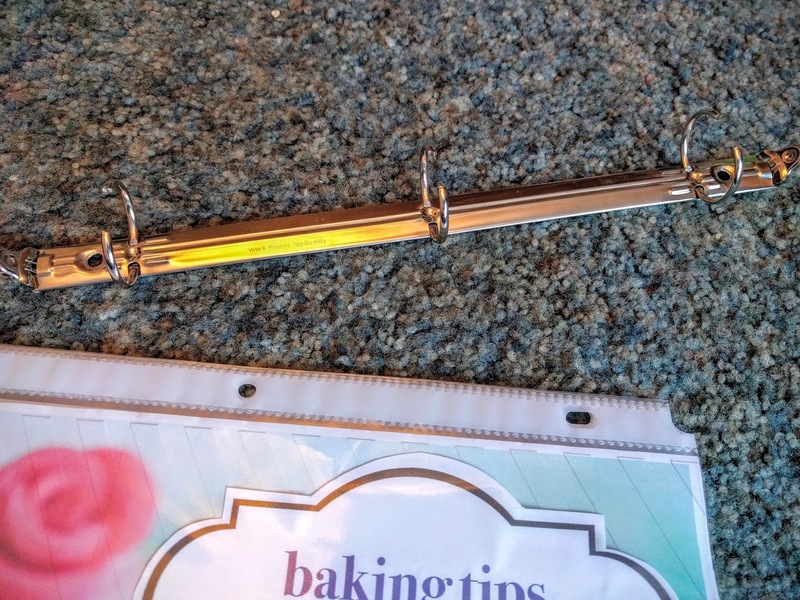 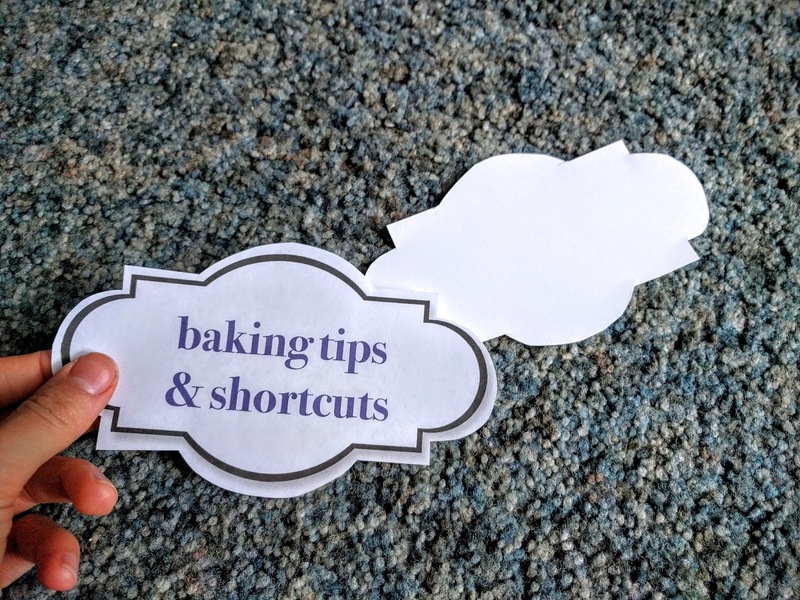 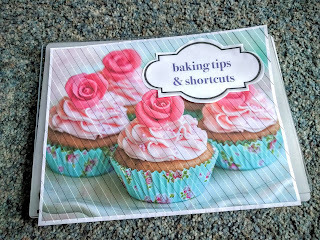 I printed out a few of my favorite baking tips and put them in sheet protectors. I printed out and embossed a beautiful picture of cupcakes for the cover sheet. 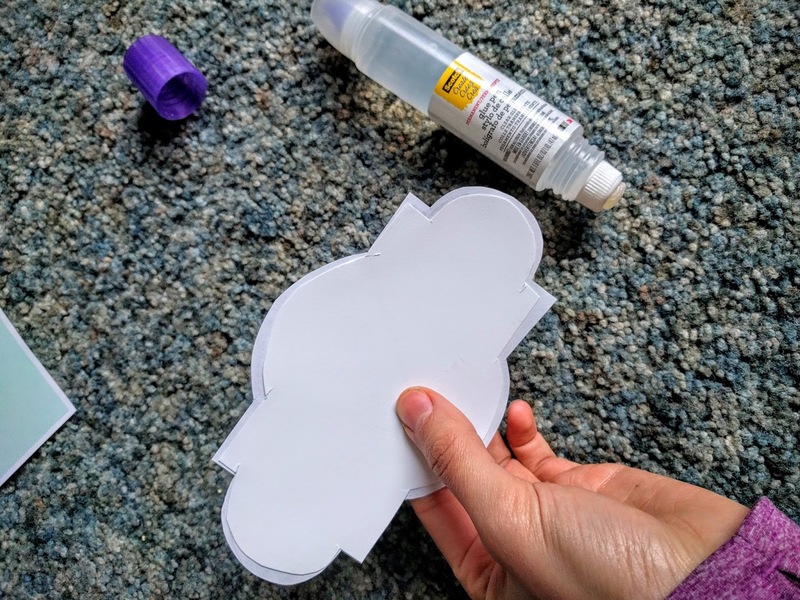 I printed out a label on regular paper, cut out the design and then used my glue pen to fix a piece of card stock to the back of the label. 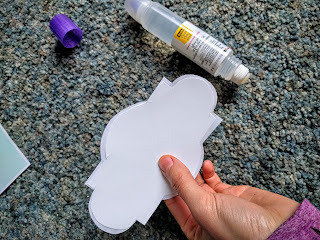 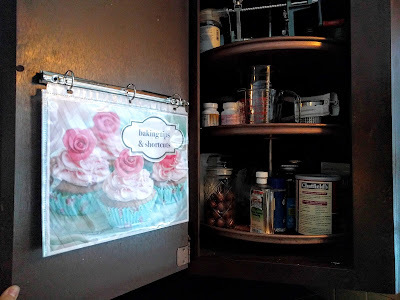 I glued the label to the embossed cupcake cover sheet. 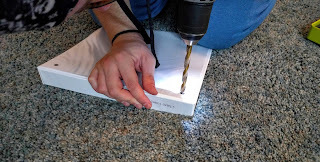 Next, I used a drill to take apart the three hole binder. 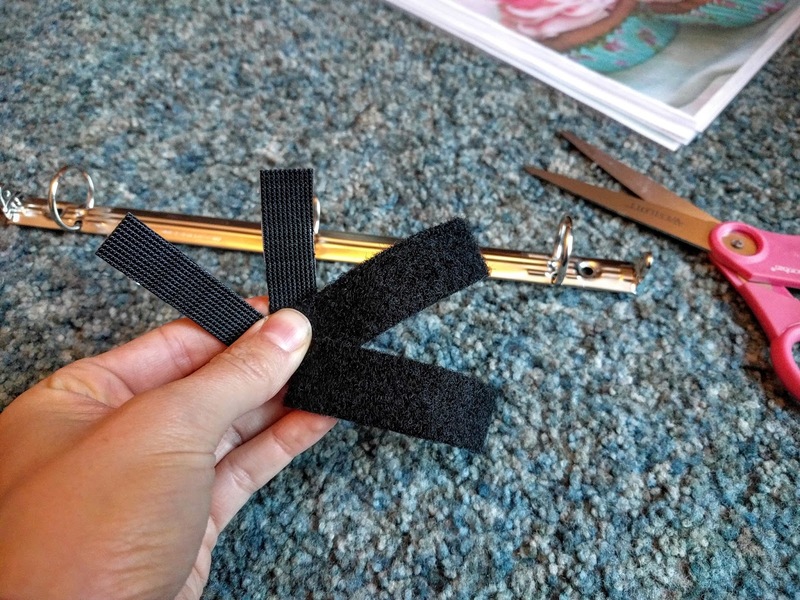 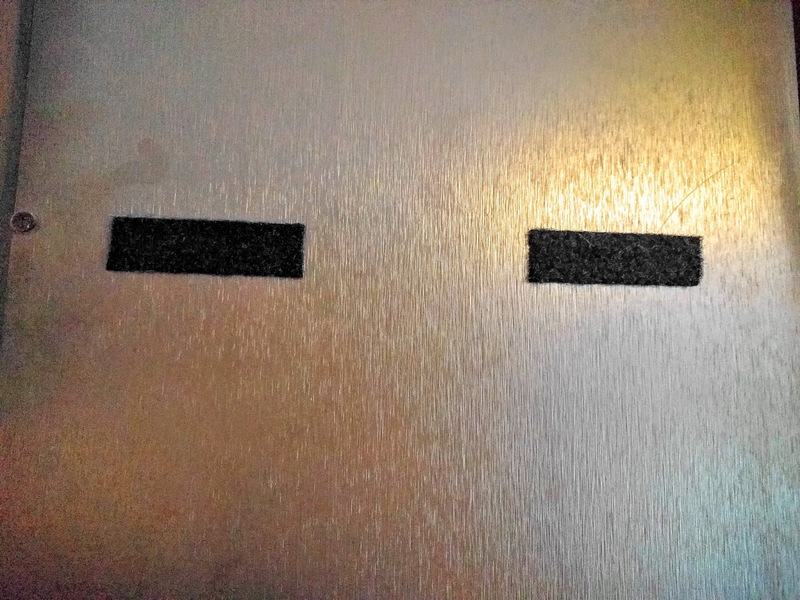 I cut and attached hook Velcro strips to the back of the metal binder and corresponding loop Velcro strips to the inside of the baking cabinet in my kitchen. I hung the baking tips sheets on the metal binder and Velcro'd the binder to the cabinet door. Now I have my tips and shortcuts available to me right in the kitchen without taking up space on the counter or in a bulky recipe book. 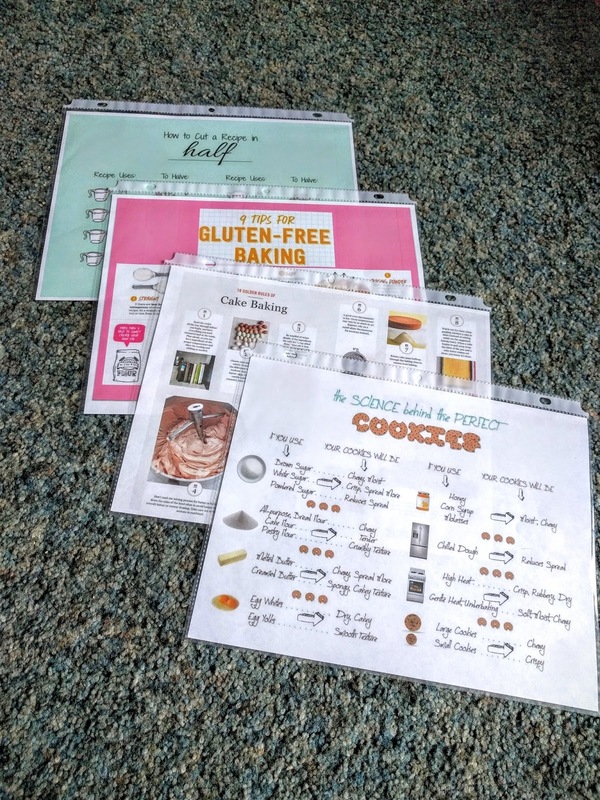 Plus, I can easily add or remove pages and reorder them since they are hanging in the binder separate sheets.